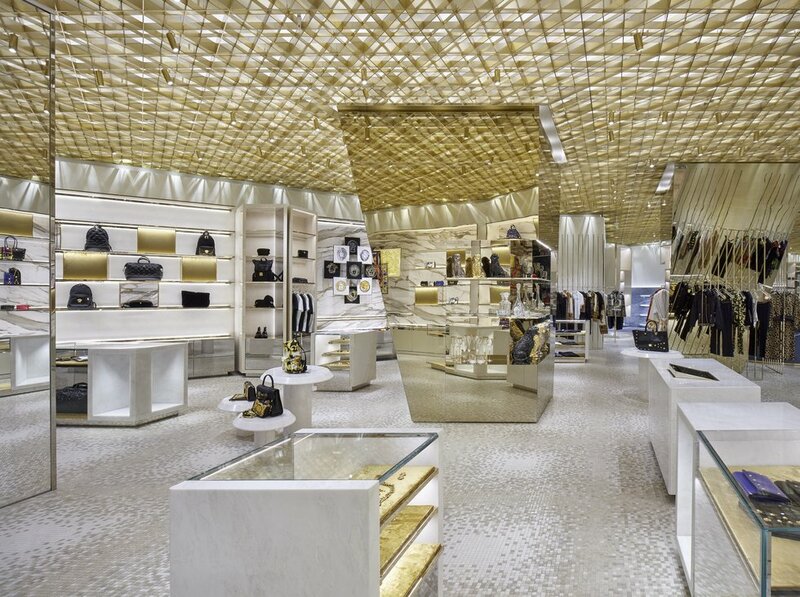 The Miami store concept makes a strong visual impact in a futuristic style that combines a streamlined design with reflective accents, reminiscent of Concept no. 2 “Subtle Mechanics” (from page 54 to 57) in the DREAM Theme from the AW18-19 Influence & Design trendbook. 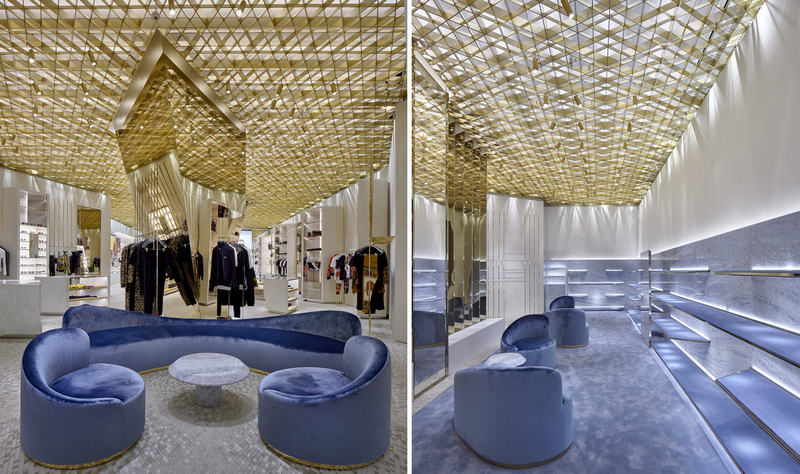 The store exudes a surprising sophistication through a structure with a fragmented effect obtained by an interplay of lights and mirrors, along with a blend of precious materials such as gold, marble and wood. The mosaics on the floor were hand-crafted by an Italian artisanal workshop. 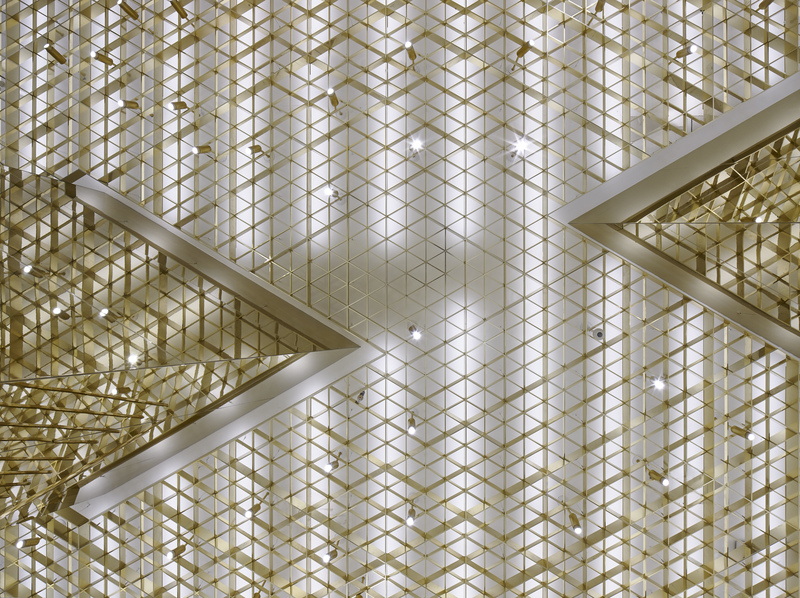 The ceiling has been designed in the form of a perforated grid that plays with the mirrors in the room to create almost hypnotic kaleidoscopic effects. 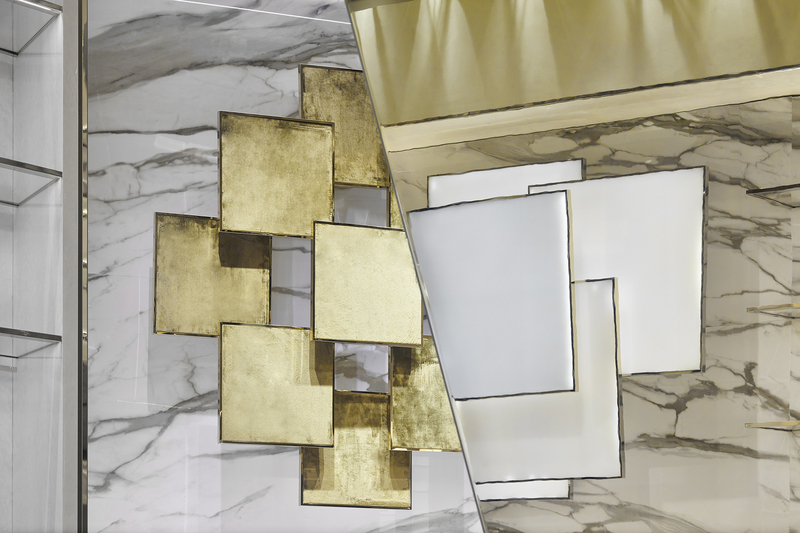 Gold prevails, glowing throughout the store and giving this atypical setting the appearance of a precious case, like a jewellery box. From an ethical perspective, the building has been designed to reduce its ecological footprint as much as possible, according to the standards set by the Green Building Council. 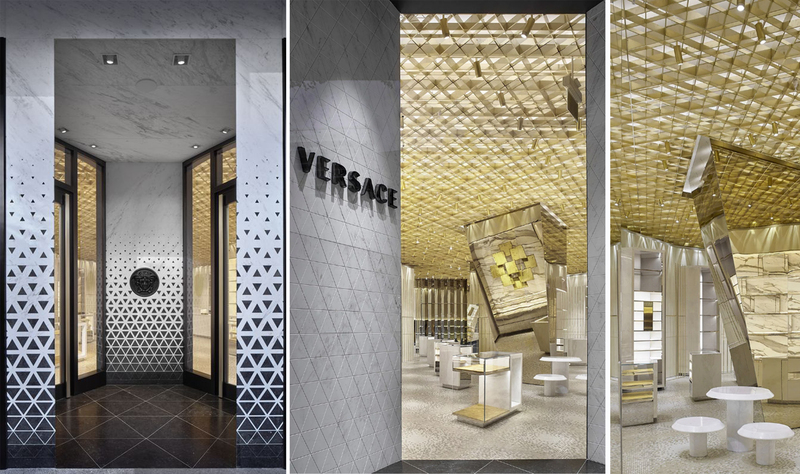 In the words of Donatella Versace, “There’s no bigger luxury than our future. 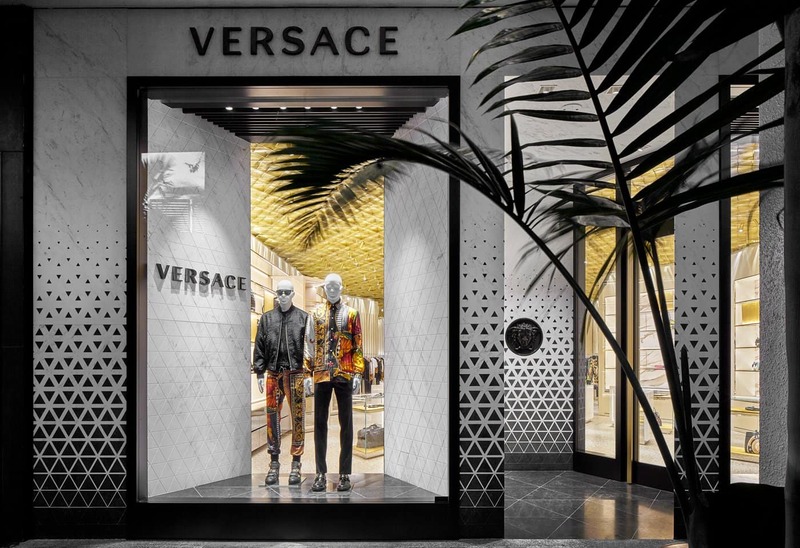 The new Versace concept is a commitment towards Versace’s sustainable legacy.” The materials used to build the store are recycled or recyclable. 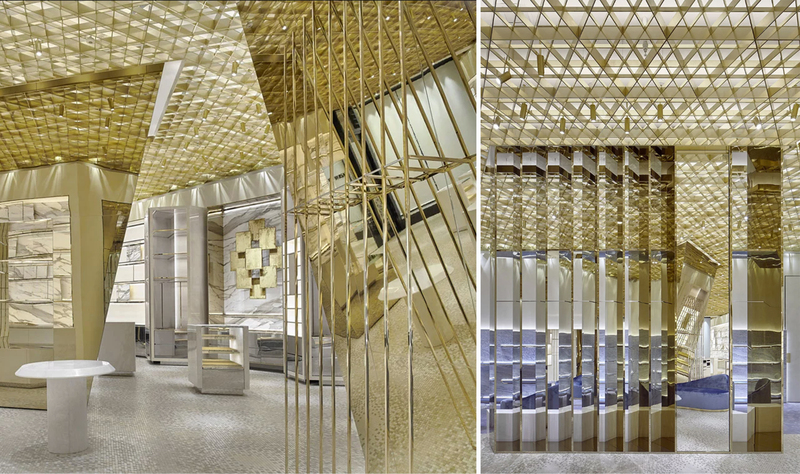 Boasting a surprising, particularly elegant and successful design, the Miami store will soon be joined by those in Munich and Florence, which are also set to create a surprise.